An Taoiseach Leo Varadkar TD, Minister for Health Simon Harris TD and Minister for Health Promotion Catherine Byrne TD have launched the 2019 Healthy Ireland campaign and announced funding of €1 million to boost community engagement on health and wellbeing in every county. Analysis by the Healthy Ireland Unit in the Department of Health shows that 60% of Irish adults are overweight or obese, with only one in three adults meeting physical activity guidelines or eating enough fruit and vegetables. This year’s Healthy Ireland campaign aims to address this by encouraging people to make positive choices to improve their health and wellbeing across three main themes – Healthy Eating, Physical Activity and Mental Wellbeing. 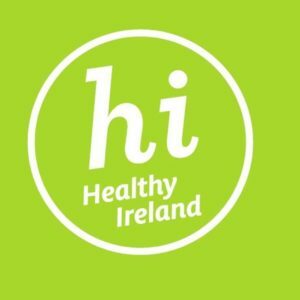 The 2019 campaign seeks to raise public awareness of gov.ie/HealthyIreland as the place to go that brings trusted sources of information and supports together in one place to help people get started on making healthy changes. – Going for a walk or run can help get rid of pent-up energy and can leave you feeling much calmer. – Taking some deep breaths and calming down — deep breathing can help to relax the body. – Trying to avoid smoking, alcohol and caffeine. – Speaking to someone you trust about how you are feeling. – Getting some good sleep, as a lack of sleep can affect your general well-being.